The last few months have not been the best on the writing side of my life. 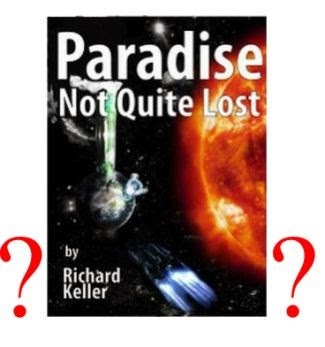 My first novel, Paradise Not Quite Lost, was supposed to be released around the Christmas holidays. Due to situations with the publisher and the printer, the release date was pushed to January, then February, and now Notsosureary. Well, you see the pattern. In the latest communication, I was told that a copy of my book would be mailed early enough in order for me to promote it with much joy and pride in this very column. The mailbox was empty on Saturday, I had a glorious pity party -- sorry I didn't invite you, and my confidence was at an all time low. My loving wife, who has been my largest supporter since I took on this writing endeavor, saw the pain I was in and took me to breakfast after most of the guests had left my depression dance. She sat me down, shoved a bacon and cheddar panini in front of me, and told me in no uncertain terms to forget what was going on with Paradise Not Quite Lost and move on to my other writing projects. And that is what I'm going to do. 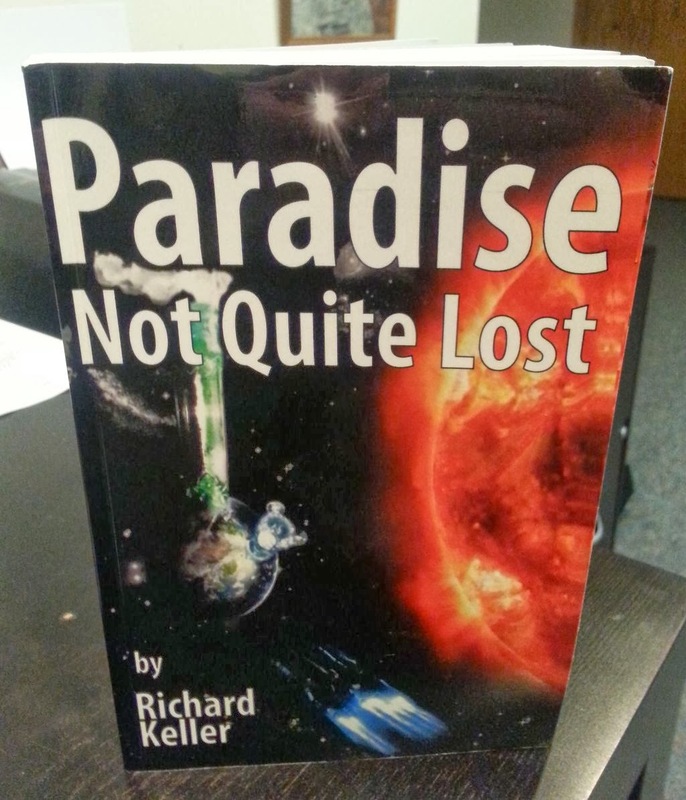 I can no longer let the machinations of my publisher and Paradise Not Quite Lost prevent me from working on my other projects, including the first self-published book under my imprint -- Wooden Pants Publishing. Sure, I may not have my first novel available at the Northern Colorado Writers conference but I'll certainly have a story to tell. And, if everything goes as scheduled, I'll have another book to promote while there. What lesson does my tale of woe promote? Basically, don't put all of your oval chicken products into one wicker holding container with a handle. Don't wait by the mailbox for your completed book to appear. Put it on the back burner and start on your next task. Trust me, you won't need to hold a pity party if you're busy. Oh, and my next project? Stay tuned to find out. Have you had a pity party about a recent publication? UPDATE: Karma once again prevails. Mere hours after I posted this column I receive a copy Paradise Not Quite Lost in the mail. Now, we wait to see how long until its actual release. Your advice to just get busy and work on the next project is the best advice we can possibly give other writers. These days, so many bad things happen with publishers and contracts that I seem to hear a new horror story every week. And even if you get traditionally published and have a series going, there's no guarantee you won't get dropped while you still have more series novels to sell. It's one more unfortunate piece of a crazy, crazy life. Why do we write anyway, for Pete's sake? Well, it's just because we gotta write. And so we go on. Oh, dear! How frustrating, and yes, we write to write, but I'd like to know who this publisher is, so I can avoid it like the plague. Please let us know whether this situation is ever resolved. Rich, this is great advice and I am glad to see you are no longer letting this consume you. Your wife is a wise woman and you are just as wise for taking to heart what she said. I prefer the proactive approach. I am highly skilled in the manufacture of recycled glassware incendiary devices. You can train at home in a few easy steps (plus a few hands on sessions in the backyard, but have a garden hose at hand). Thence, it is off to your publisher to burn their establishment to the ground! Viva La Revolution! I haven't had a pity party about the publication of one of my books, and like you, I plan to avoid that. I just had my poetry chapbook accepted for publication, and according to other authors who have used this publisher, they're pretty slow so I'm not going to hold my breath. I'll send them the materials they need and then start work on a short story collection I recently put together that I also hope to publish. Thanks to everyone for your support. I.A., I'll take your suggestion and put in in my pocket. By the way, the opinions express by I.A. do not reflect those of myself, because I don't want to write my next novel in prison. That must be so very frustrating (and a little heartbreaking). I am just so impressed that your book is being published! What a huge accomplishment. You must be so proud! Good for you for marching forward. Thank you for the post. It provides a good lesson for anyone trying to get things published. Can't wait to read your book! Hang in there and keep writing! And would you please bring your wife along to the NCW conference later this month? I would love to meet her!